SCOTLAND’S third national Park could be created under a new planning blueprint. 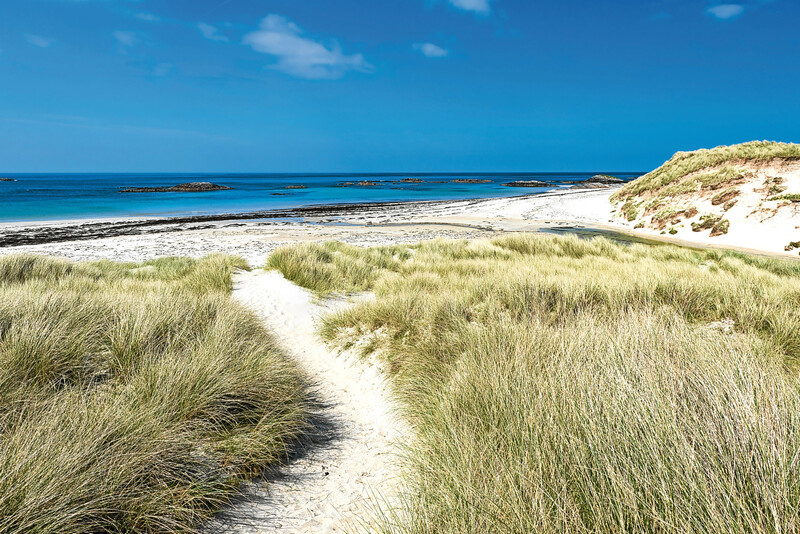 Argyll and Bute Council wants to create a massive conservation area stretching from the tiny islands of Tiree and Coll all the way to the west Kintyre coast. Covering an area of roughly 2650 square miles, it would become the UK’s largest National Park. Although much of it would extend into the ocean, as Scotland’s first coastal park it would dwarf Loch Lomond and The Trossachs and would also be bigger than the Cairngorms, which sprawls across 1748 square miles of mountain terrain and is currently the largest in Britain. Campaigners welcomed the plans, insisting they would “boost the image of Scotland, reinforce its image worldwide and increase the public’s commitment to conservation”. Provisionally dubbed Argyll and Islands National Park, the new conservation area would cover marine, island and coastal landscapes. But council bosses insisted its creation “should not in any way jeopardise our indigenous local industries of fishing, agriculture, aquaculture and tourism”. In a document outlining their plans, they proposed lobbying the Scottish Government to create the park, focusing on the western seaboard of mainland Argyll and extending west to include the southern Hebrides. 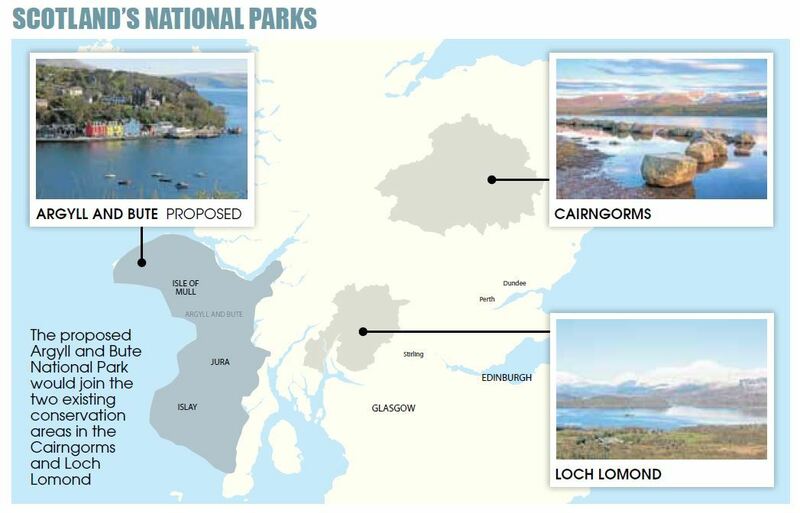 While no fixed boundary has been drawn up, officials said the new park could take in Knapdale, Jura, Scarba, Lunga and The Garvellachs – as well as Mull, Coll, Tiree, Islay, Gigha and the west Kintyre coast. They said creating the park could bring extra jobs, investment, international recognition and increased tourism, while also generating a focus on active conservation management. And to boost these benefits and cut down on bureaucracy, they recommend keeping the boundary of the park entirely within the Argyll and Bute area. The council document also suggests “the vast majority of the members of the National Park board must be from those living and working in the park area”. While admitting the council “has no ability to deliver such a park”, officials insist a statement of support within the local development plan – the council-wide planning blueprint – “would be a clear indication of the area’s interest in exploring the issue”. Campaigners have previously pushed for seven new National Parks to be created in Scotland, covering areas such as Galloway, Harris in the Western Isles and Ben Nevis. But the Scottish Government has raised concerns over funding, with the estimated cost of creating one new park running to around £7m.